Use these easy email strategies and done-for-you templates to send emails that get results! You’ll build a great relationship with your child’s teacher. And your child will have a better shot at success in school, too! Take the stress out of sending emails to teachers with an easy to use mini-guide for busy parents. This step-by-step guide walks busy parents through the process to send awesome emails to teachers quickly and easily. Why Send Awesome Emails to the Teacher? 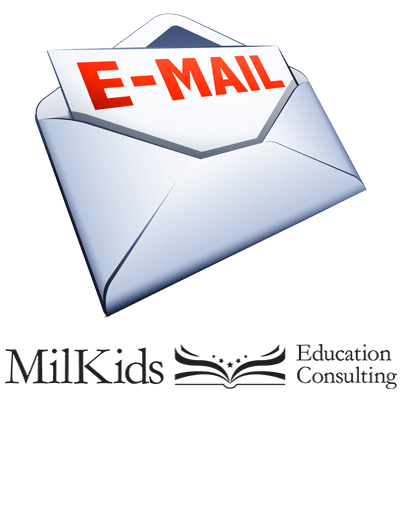 Email is our primary form of communication with schools and teachers. But so much gets lost in translation. It’s easy to pick up sarcasm in person. A direct question asked face-to-face is understood differently than that same question sent via email. Getting the answer or results you want from the teacher is all in how you write your emails. Using my time-tested email strategy and wording, you’ll be able to send awesome emails to the teacher that help your child succeed in school. Are you ready to feel successful in school? Let’s start by sending awesome emails today!